1986, 80s New Wave, Retro Outerwear Clothing Patterns - MISSES' JACKETS: Loose-fitting, unlined jacket has extended shoulders, notched collar, shoulder pads, patch pockets and shirttail hemline; long, tapered sleeves have deep armholes. Jacket A has optional rhinestone and stud trim. Jacket B, with longer back, has contrast hem and sleeve facings. 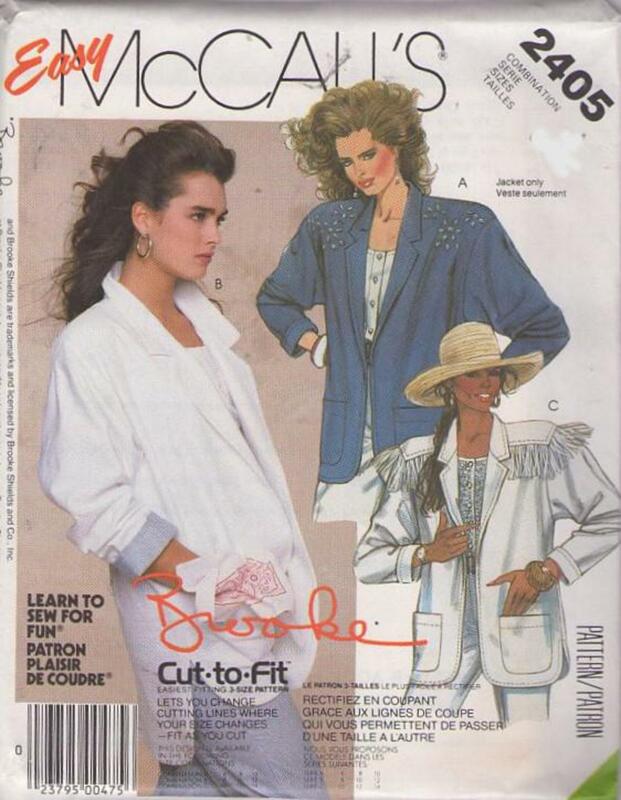 Jacket C has yoke with forward shoulder seams and optional fringe trim. All views: Top-stitch trim. Sleeves may be turned up to form cuffs.